When’s the last time you did this? 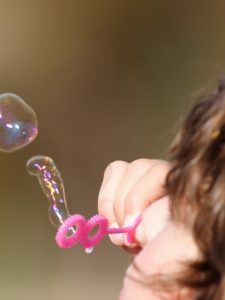 [blow bubbles] Bubbles were fun as a kid, right? Well, it turns out, we kind of like them as adults, too. But…we do it a little differently. We don’t just blow bubbles and run around and poke them. No, we live inside of them, and make every effort not to pop them. I’ve heard it often from my friends: “L.A. is such a bubble–Thank God!”Meanwhile, somewhere in Kansas, there’s a family expressing gratitude that they don’t live with “the crazies from California.” So adult bubbles are everywhere. But unlike these bubbles, I’d like to persuade you that our bubbles come with a hidden warning label: May be hazardous to your country’s health. 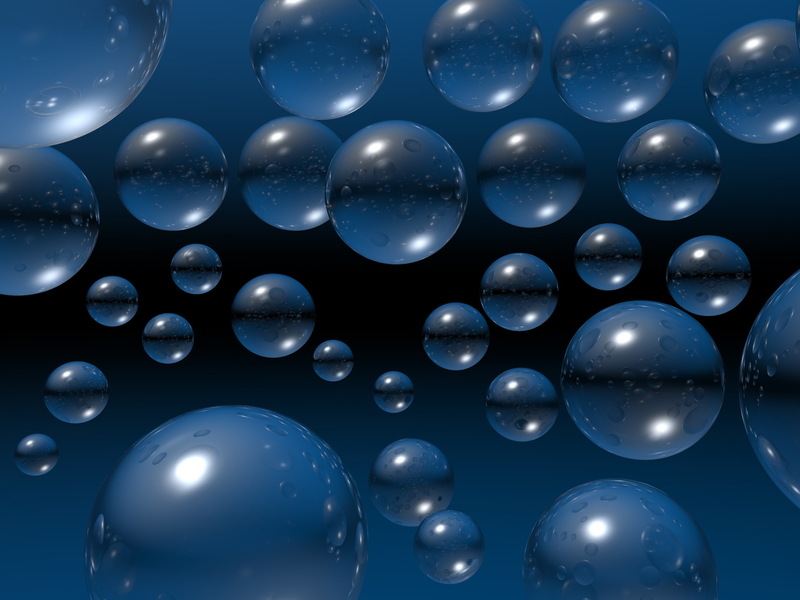 It may not be immediately obvious why that is, but what is obvious is why we like bubbles in the first place. Life is growing more complex, and our communities and airwaves are increasingly crowded. That means we’re confronted by people with differing views far more often. So what do we do? We insulate ourselves from those challenging thoughts. If you’re politically conservative, for instance, you can start your day with “Fox and Friends”; listen to “Rush Limbaugh” on your way to work; then wind down your day watching “NCIS” or “Swamp Loggers”. If you’re a liberal, you can begin your morning watching “The View” or a recording of “The Daily Show”; you can read articles on the Huffington Post, and end your day with “Family Guy”, “Breaking Bad” or “Walking Dead.” If you think I picked those titles randomly, look up “favorite T.V. shows for conservatives and liberals” sometime—it’s fascinating. Producers create bubbles to ensure you don’t switch the channel. That same dynamic is working at the community level as well. In his book, “The Big Sort”, author Bill Bishop used a wealth of demographic data to prove that over the last few decades, Americans have been sorting themselves into increasingly homogeneous ideological communities. Our politicians have followed suit by redrawing their electoral districts to fill them with those very same ideologues. That keeps them in office, but it also gives us what we have now: a polarized, paralyzed Congress. All of that would make it difficult enough to maintain a democracy, but now we have computer programs to help insulate ourselves as well. I should know – I helped build one of them. In 1999, while working at Charles Schwab, I wrote a web-based patent dealing with something called “personalization”. The basic idea was to deliver relevant content to a client based on their website actions. For instance, if we saw a client looking up a lot of mutual funds, we wanted to post research links and ads for top performing funds on that same page. That was pretty cutting-edge technology 14 years ago, but today, these algorithms are everywhere. Amazon recommends books based on previous purchases; Netflix has rows of movies recommended ‘just for me’; Even prospective employers use algorithms to determine if your scanned resume makes you a ‘fit’ with their business. This electronic filtering has become so prevalent that it’s earned a nickname: A ‘Filter Bubble’. The man who coined that term, Eli Pariser, authored a book by the same name, showing that if you and I were to Google the exact same search term, your results would likely be different than mine. AND you don’t even have to be logged in to Google for this to be true; because not only does Google keep track of your viewing history, it also records your location, and even the type of computer you’re using when you do a search. Just to be clear, all big web companies are doing personalization now: just a couple weeks ago, I logged into a site using my Facebook ID, and there, in the right hand column, was an ad displayed for a very specific craft supply that I had searched for on another site earlier that week. That’s personalization, AKA the ‘filter bubble’, at work. So what’s the problem? I mean, filter bubbles save us hassle and stress, right? Well, they do, but at a cost: When we’re stuck in a bubble, we only hear the voices inside it. That’s why the stock market and dotcom bubbles were so damaging when they burst. That’s why our congressmen are so intransigent. Filtering out all the stuff we don’t like is like skipping over our vegetables to only eat dessert. It may feel good for a while, but pretty soon, you’ve got a nasty stomachache. To be healthy, we need a balanced diet –and so does our country. 155 years ago, Abraham Lincoln said, “A house divided cannot stand.” This Thanksgiving, we can be grateful that our house is still standing. But it could be a lot stronger. This holiday, step outside your bubble to strengthen it: Tune in to something you wouldn’t normally watch. Really listen to an opposing viewpoint. And eat those metaphorical vegetables. Your country’s health depends on it.